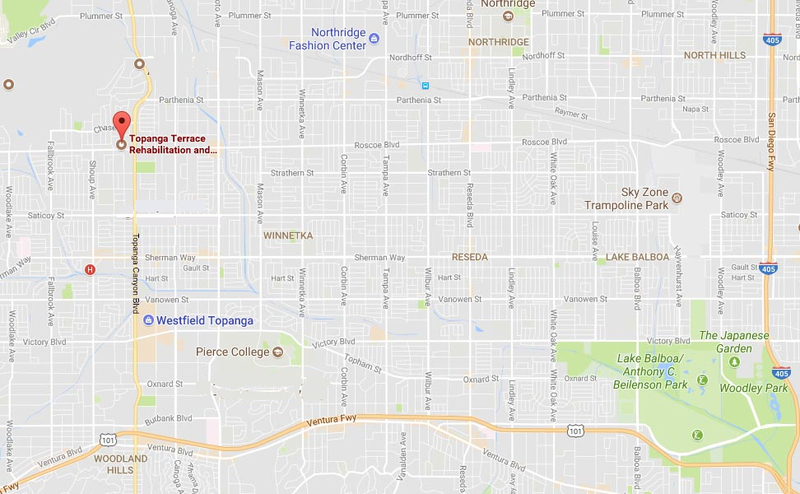 Topanga Terrace Rehabilitation and Subacute is located on Roscoe Blvd. between Fallbrook and Topanga Canyon Blvd. Please look for the long driveway which will lead you to the front of our facility which is located around back. Our facility offers a private entrance, away from Roscoe and Topanga Canyon Blvd which allows for a quiet atmosphere.